Two men and a taxi driver were involved in a dispute along Circular Road at around midnight on Thursday (June 7). The cabby, Mr Admen Lim, posted a video of the altercation on Facebook, which shows the trio in a heated argument. 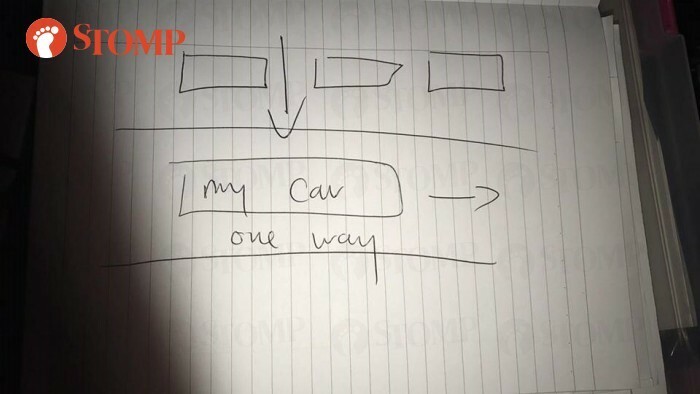 Mr Lim told Stomp that the incident started when the two men exited a pub and walked in between two parked cars to reach the main road -- at the same time as when he drove past. "The bigger-sized guy, presumably drunk, was walking like a snake," said Mr Lim. "He knocked into into my left mirror and door, so I stopped to ask if he was okay. "However, the men claimed that I had banged into them and did not allow me to leave. "They then became verbally abusive and challenged me to call police, which I did. "While waiting for the police, I recorded the video but the two men fled before police arrived." In the video, the two men can be heard hurling vulgarities at Mr Lim and challenging him to call the cops. One of them also shouted: "You run my leg, you know?!" Mr Lim added: "I am not sure if that guy hurt his leg or if my taxi had rolled over his leg somehow, but I was travelling at a very slow speed. "I have been driving with ComfortDelGro for three years and have a very good record. "The reason why I called the police was for record purposes or in case they accused me of a hit-and-run, which did not happen." Stomp understands that when police arrived, the two men had already left the scene.